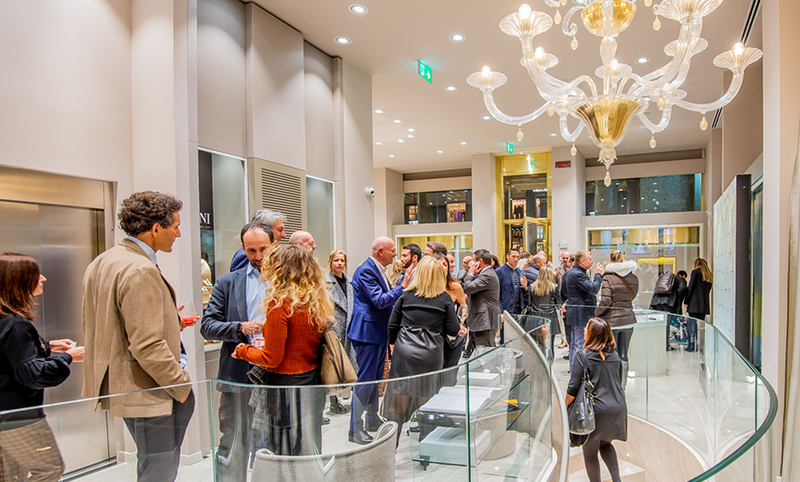 The historic Rocca Boutique of Turin, in collaboration with Breitling and VMarine, Azimut Yacht’s dealer, has welcomed Guests for a Christmas cocktail. The Brand-passionates had the opportunity to admire the new Premier collection presented exclusively by Breitling and, thanks to master watchmakers, they had the chance to observe the path that leads to the masterpieces’ creation from the Maison. Rocca offered once again its Customers an unforgettable evening, enhanced by the excellent creations from Breitling and by the marvelous Azimut models, a perfect combination of refined elegance and incredible beauty.